Since 1935, the Saginaw Bay Symphony Orchestra has brought the people of the Great Lakes Bay Region together to experience great classical music. In our 78th season, we continue our mission to advance the appreciation of orchestral music to our diverse audiences through high quality performances and innovative educational programs. 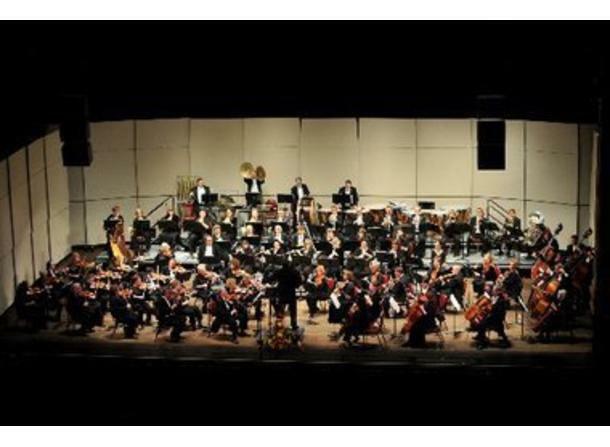 The present-day Saginaw Bay Symphony Orchestra (SBSO) was created as a project of the Saginaw Department of Parks and Recreation and has performed an annual concert series ever since. It was incorporated as a separate non-profit corporation, the Saginaw Symphony Association, in 1953. The SBSO has established a proud legacy of superb musicianship, innovative programs and comprehensive educational experiences for the residents of the Great Lakes Bay Region. The Orchestra is a fully professional ensemble which draws its members from throughout Michigan. Musicians are selected by stringent peer review/audition process by principal players and the Music Director. The music selections for each season, chosen by Music Director Brett Mitchell, in consultation with the musicians, the audience, and the Board of Directors, combine and contrast challenging signature orchestral works with the best contemporary compositions. World premiers by regional composers have been featured most seasons.